Freedom of art from traditional culture. 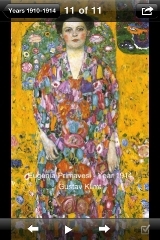 In this FULL VERSION, designed for iPhone® and iPad®, you will find over 100 paintings by the great master Gustav Klimt. 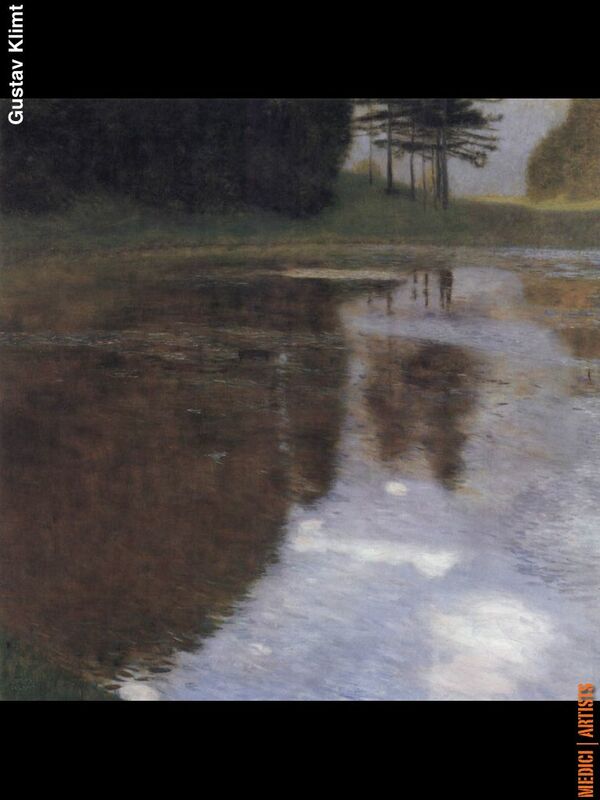 Enjoy the high quality images of his paintings, share them with your friends via email, and learn about the artist life. 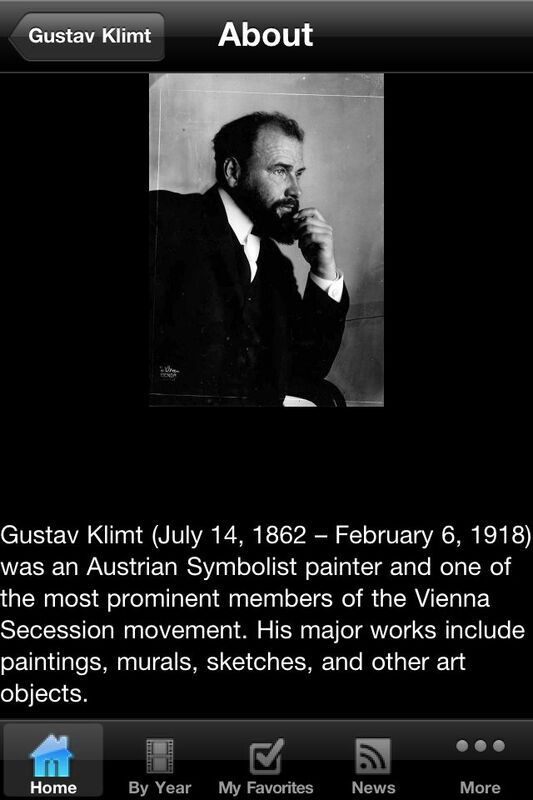 Gustav Klimt (1862 – 1918) was an Austrian Symbolist painter and one of the most prominent members of the Vienna Secession movement. 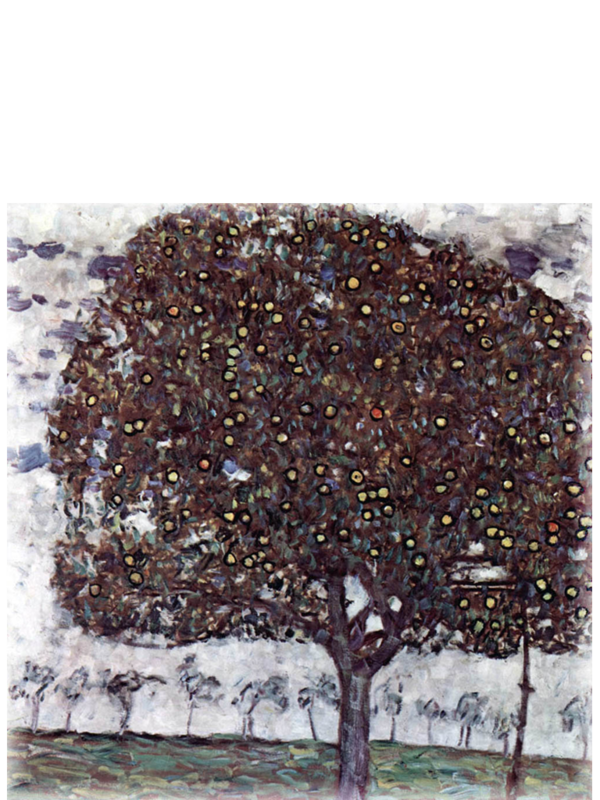 His major works include paintings, murals, sketches, and other art objects. Klimt’s primary subject was the female body, and his work is often distinguished by elegant gold or coloured decoration, spirals and swirls. 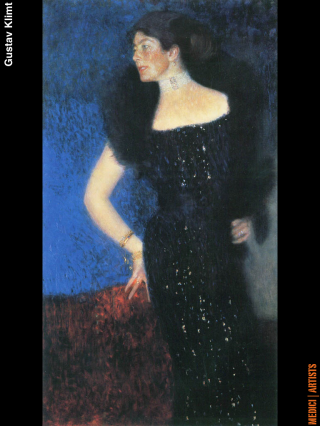 One of the most common themes Klimt used was that of the dominant woman, the femme fatale. 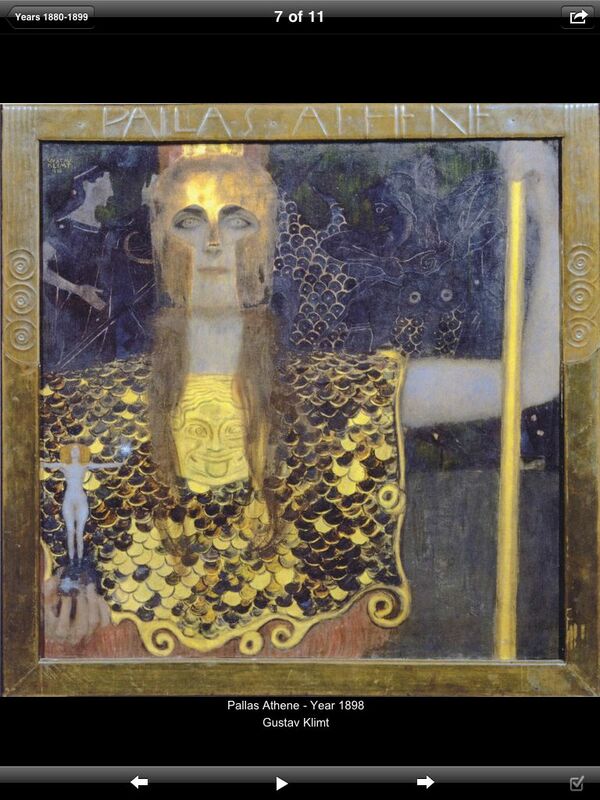 Art historians note an eclectic range of influences contributing to Klimt’s distinct style, including Egyptian, Minoan, Classical Greek, and Byzantine inspirations. 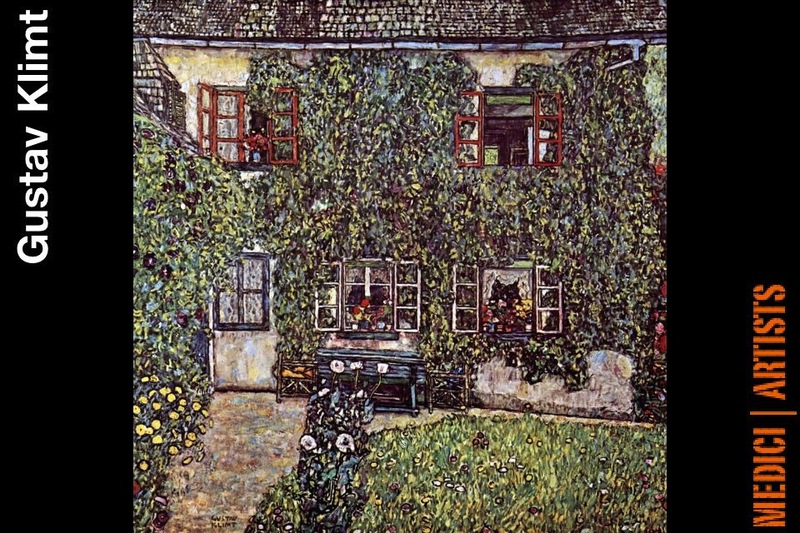 Klimt was also inspired by the engravings of Albrecht Dürer, late medieval European painting, and Japanese Rimpa school. 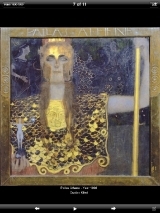 His mature works are characterized by a rejection of earlier naturalistic styles, such as The Glasgow School, from which he was heavily influenced, and make use of symbols or symbolic elements to convey psychological ideas and emphasize the “freedom” of art from traditional culture. He was keenly interested in exploring Freudian issues surrounding psychoanalysis in his works. 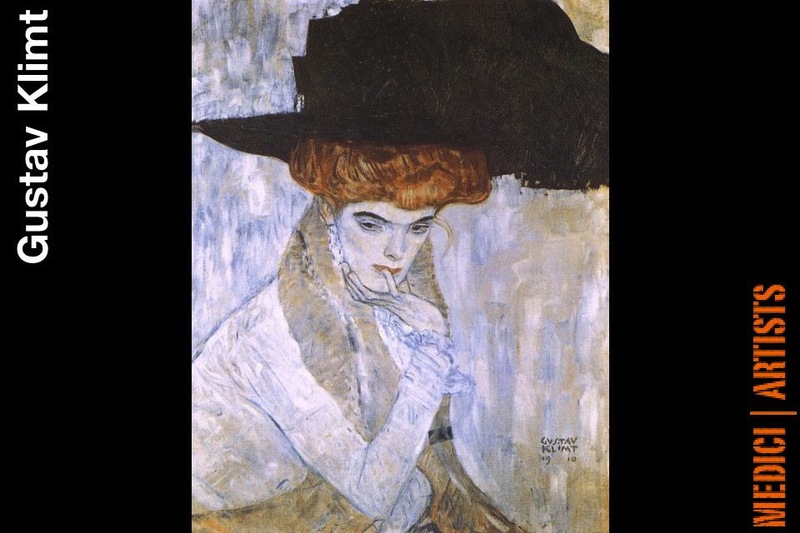 Freudian issues gave his work a dark intricacy that would be highly influential for future artists. 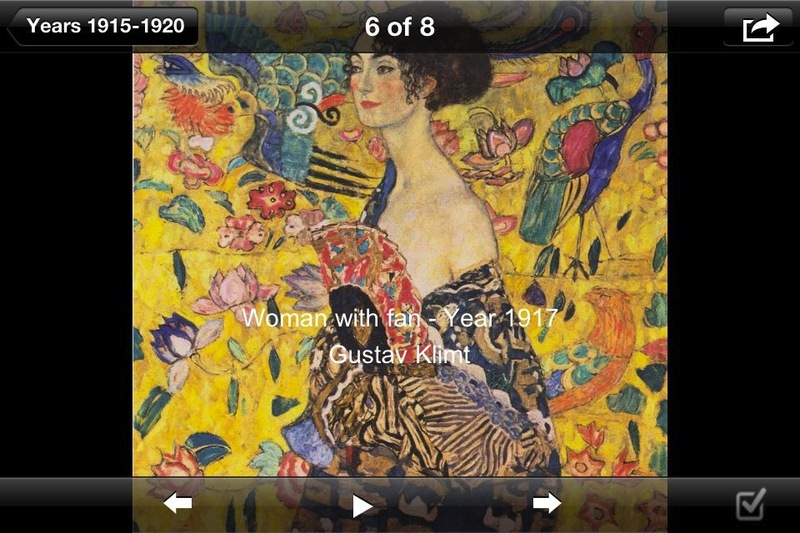 This app allows exploration of Klimt’s paintings in high resolution. Thus, access to a bigger image, minus the blurriness and lack of details, is one of its best qualities. 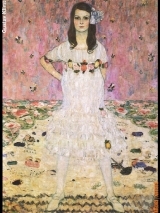 This app makes viewing some of Klimt’s finest work, on the go, with attention to both details and colors. It’s next to the best, meaning viewing the actual images. A must have for Klimt fans! 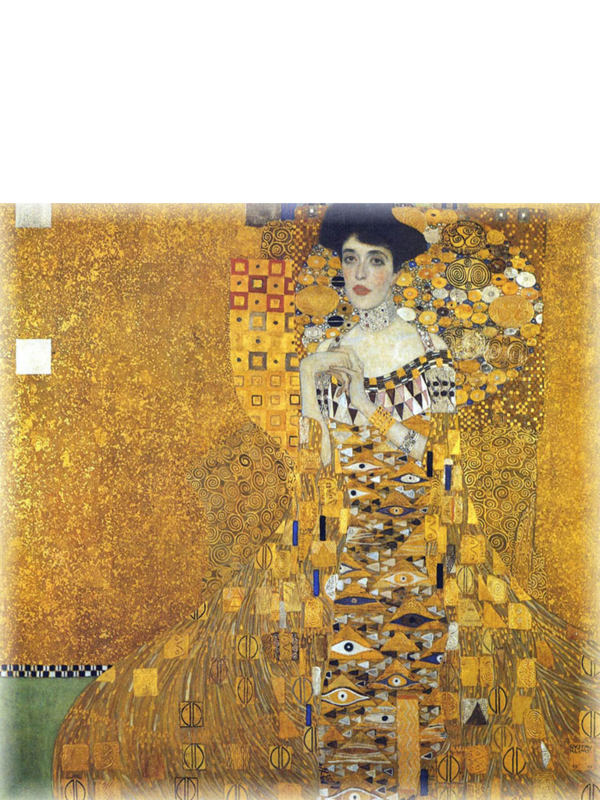 This wonderful app allows Klimt fans like myself to explore some of his most celebrated works. Through access to 100+ images that are viewable in high resolution, this app is one of a kind and definitely worth the small price of $0.99! 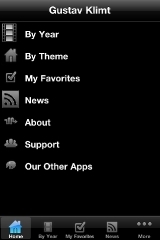 This app is totally worth the $.99! 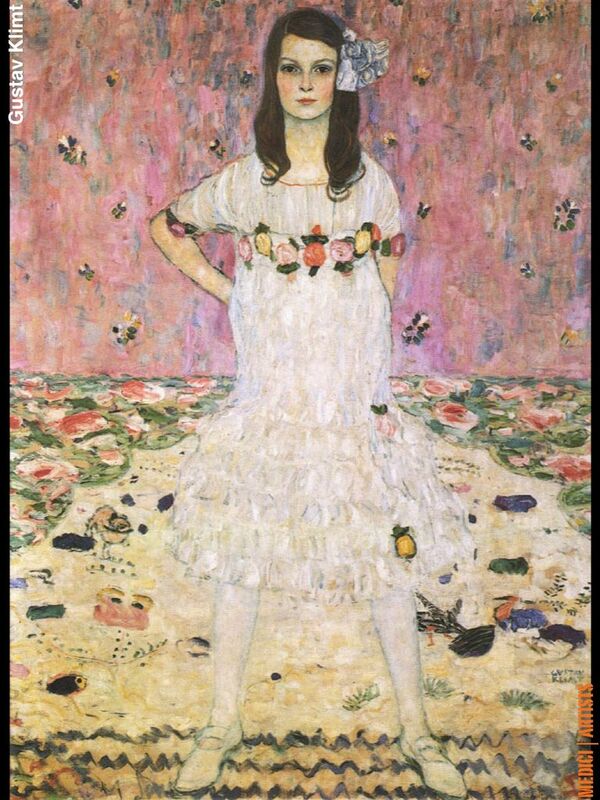 Though available on my Iphone, I downloaded it on my Ipad, which made viewing the paintings an even more pleasurable journey. 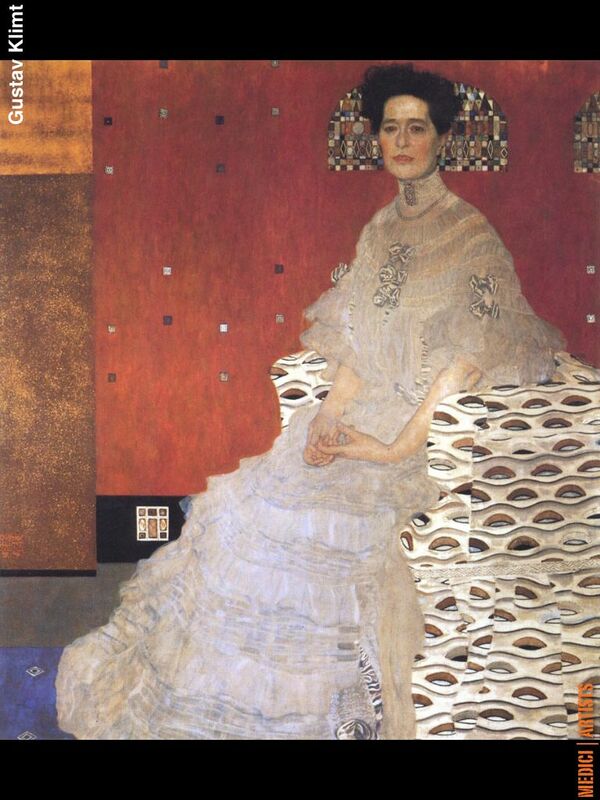 A huge Klimt fan, I am thrilled to have virtual and unlimited access to some of his most prized works. I promise you, you won’t regret getting it! 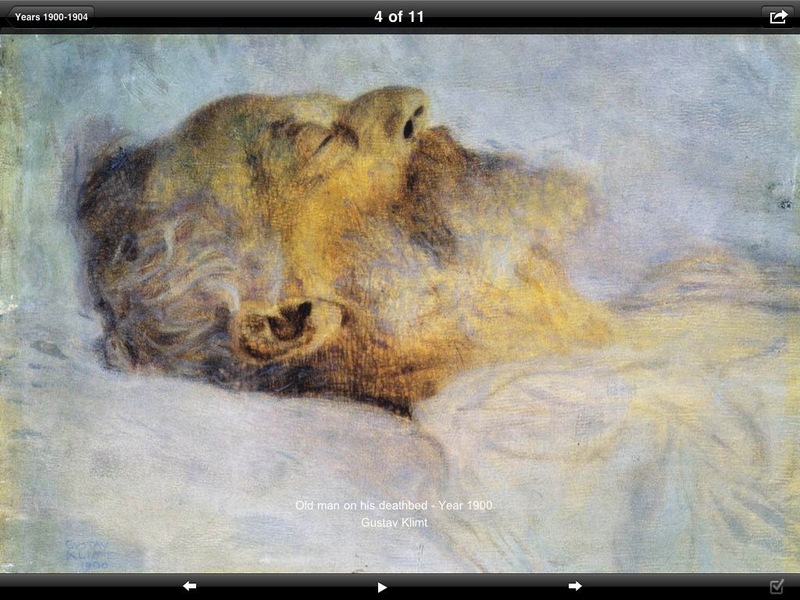 The app is filled with paintings from paintings that you have virtual access to all the time. Without a question, you will also be amazed by the fantastic refinement that is present in his work. If you appreciate color, illustration and paintings, this app will mesmerize your attention for hours. It’s quite an experience for any art fan! 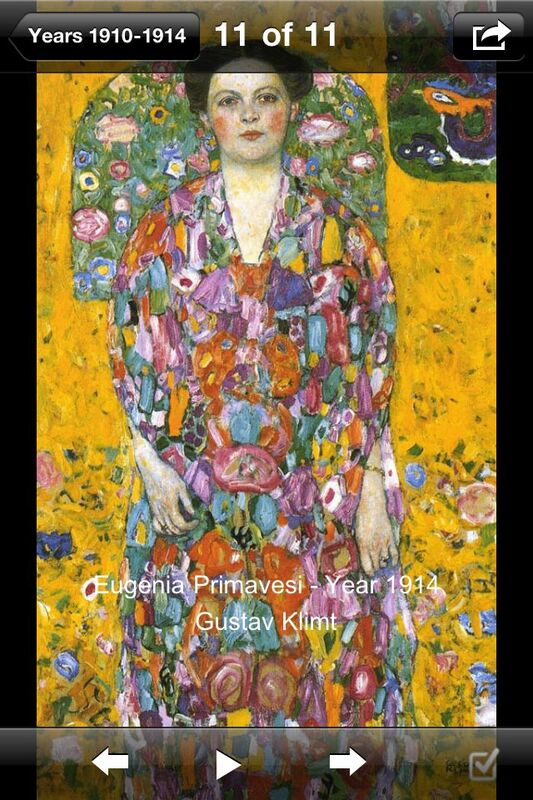 This app will be desirable if you want to explore the styles and methods of Klimt. One can really appreciate how he is able to transform such intense amount of details to controlled beauty. 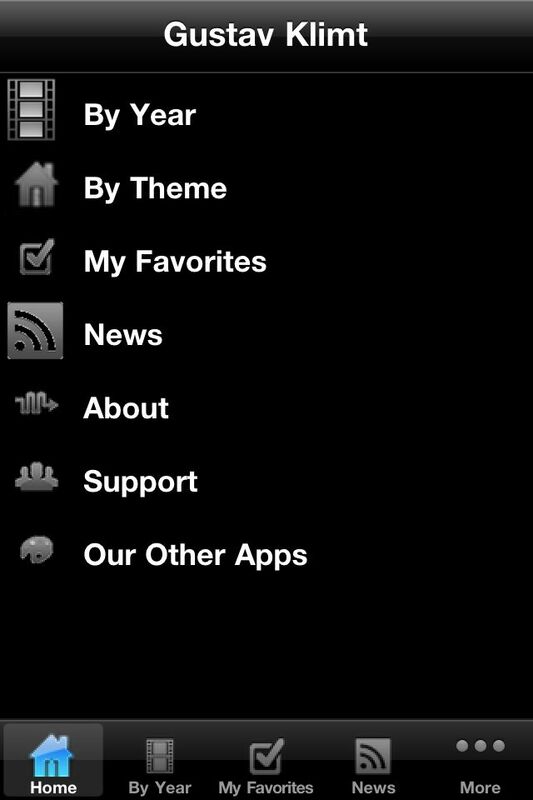 This app will be appreciated by any art loves of any sort! Leave a Reply to Victor B.